There are now 7.6 Billion people on the planet. And in a world where we believe that a person’s face is unique enough to unlock an iPhone, you would think we would easily understand that every single person is unique and materially different, right? So let’s pause for a moment to consider the absurdity of this single fact: all stock eyeglasses and sunglasses are mass produced in batches of 5,000 or more, all sized to fit just one person. A mythical “average” person that doesn’t actually exist. To make matters worse, the model of the ideal/average person that almost all glasses sold in the USA are made for, is specifically an average caucasian person. So the less we look like Brad Pitt or Jennifer Aniston, the less well glasses fit us? Does that sound fair? This is why most stock glasses don’t fit most people. And it is also why glasses slide down our noses, pinch us, give us headaches or blurred vision, touch our eyelashes… The list of issues goes on and on. Improper fit is the main culprit for why most people hate everything about wearing glasses. While problems like these are commonplace for most caucasian people, it is non-caucasian people that get an even rougher deal. And no ethnicity is worse served by the stock eyewear industry than Asian Americans. Compared to most caucasian people, many people of Asian descent have a lower nose bridge, with fundamentally different contours in the important area where glasses rest. It may also be the case that Asians have wider faces, higher cheekbones and longer eyelashes than caucasians, all of which can create problems when wearing glasses designed for white people. In fact, these issues can even exclude Asians from being able to wear certain glasses styles at all. Recently, an “Asian Fit” or “Alternative Fit” or “Low Bridge Fit” category of eyewear has emerged from major eyewear brands like Oakley, Warby Parker and Ray-Ban. 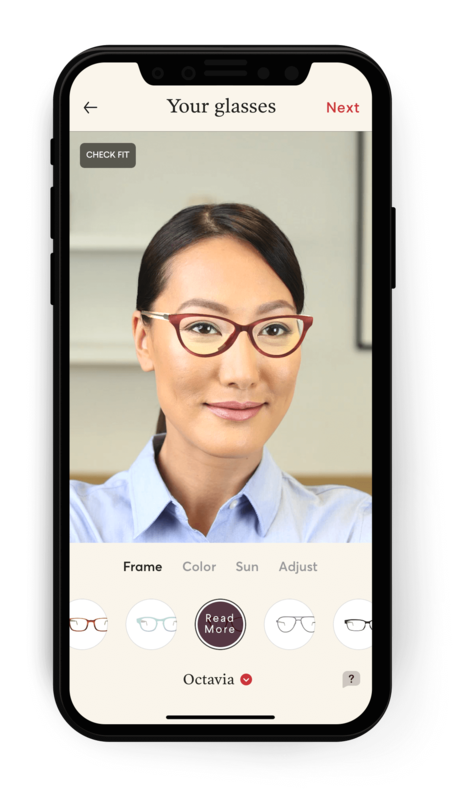 The moniker has been recently coined by a number of eyewear manufacturers to designate a specific line of eyewear designed to fit the facial contours of Asian customers. This is undoubtedly better than standard stock eyewear - but we view it as a baby step toward solving a much larger problem: that terrible fitting eyewear is a human problem, not an Asian problem. As of 2016, the global Asian population accounted for nearly 4.5 billion people — that’s more than 50% of the planet’s population. In the U.S. alone, Asians make up 20 million individuals. It’s misleading to say that stock eyewear, even categorized and tweaked for Asians, will fit all 4.5 billion Asian faces. It’s simply not possible! “Asian Fit” is just another generalization, in an industry refusing to celebrate the diversity and uniqueness of every individual’s face. 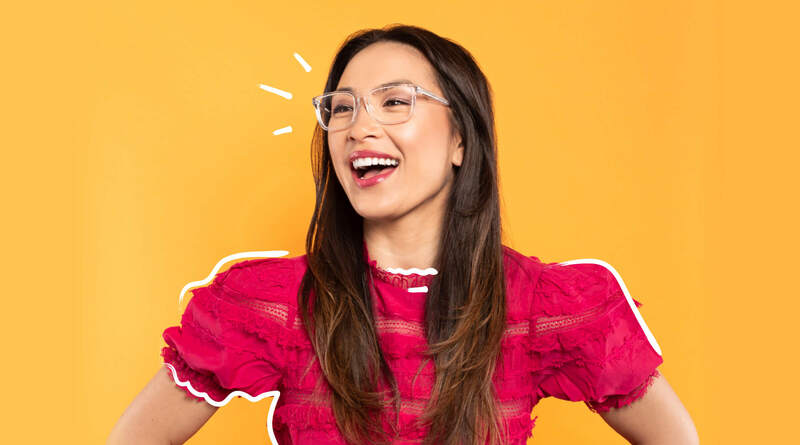 We’ve seen reactions to “Asian Fit” range from hesitation to irritation because the truth is, it’s not the perfect solution for a whole population’s eyewear woes. 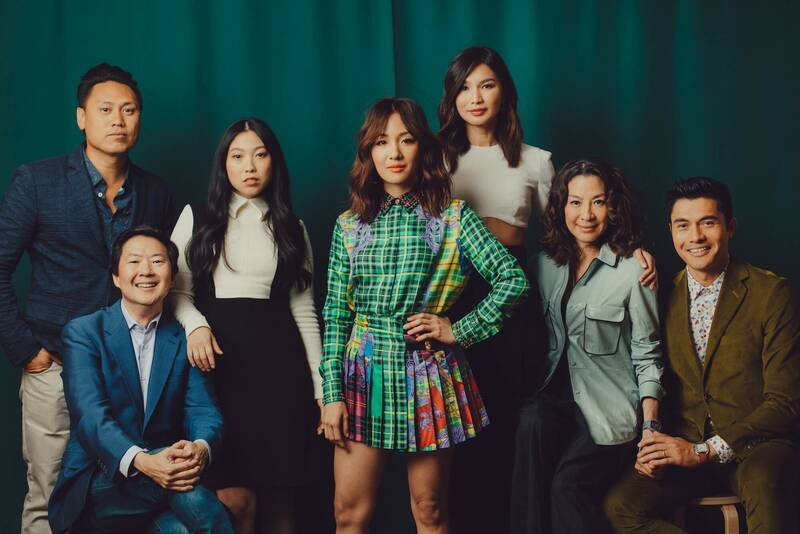 (From left to right) Constance Wu, Jackie Chan and Margaret Cho illustrating the differences in nose shapes across those of Asian descent. While those of Asian descent generally have a similar nose shape (flatter nasal bridge), there is still a large amount of variation. In fact, Mark Hubbe, an assistant professor of anthropology at Ohio State University, states that variation between nose shapes across ethnicities is due to evolution and climate. Asia is divided into several subregions including Southeast Asia and East Asia, each with their own climate, creating variation within what you would believe is the “standard” Asian nose. We’ve scanned thousands of faces and can tell you first-hand — there is no such thing as a standard Asian face shape or size. No two Asian faces are the same. Even within your family, you may have a similar face shape as your parents but a vastly different nose. Or you and a sibling might have the same cheeks, but completely differently positioned ears. Typically, all eyeglass (and sunglass) frames are made according to standardized size measurements, usually consisting of a trio of numbers. The first number represents the lens size, the second number represents the bridge size, and the third number reflects the length of the temples. The issue with these standardized measurements is exactly that - they are standard. They also aren’t available in a mix and match fashion. For example, most Asian Fit glasses have an adjusted bridge size and automatically bump up the lens width to accommodate wider cheekbones. But what if you have a narrow face and still need the low nose bridge size? Or if you have narrow-set eyes but the width of your face is still larger than average? 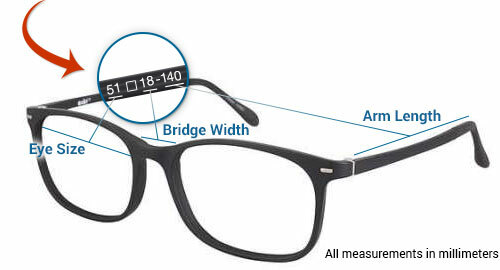 Standardized sizes make it impossible to find a stock pair of glasses that will accommodate your unique facial measurements. Turns out, no one has a truly symmetrical face. And that’s what makes you, YOU! Because of this fact, though, it doesn’t make sense for your glasses to be exactly symmetrical. Two of the biggest points of asymmetry we see from our customers is one ear sitting higher than the other or the slope of their nose bridge not exactly matching the same angle on each side. 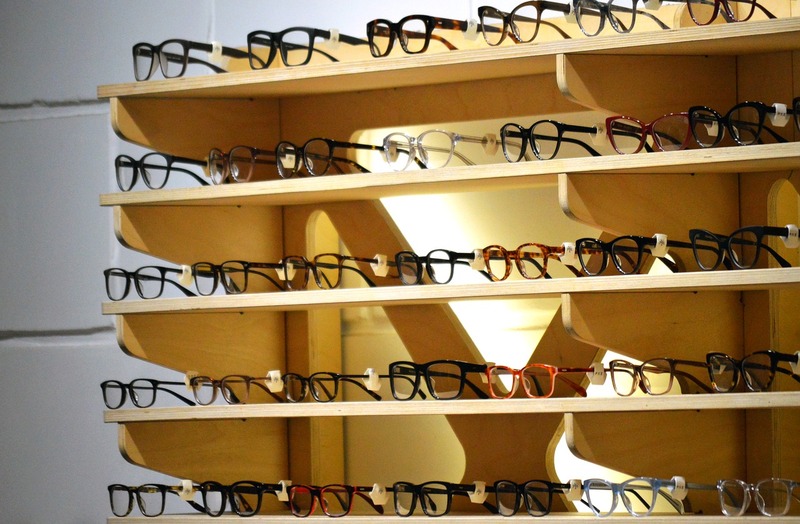 When you walk into an eyewear store, there are hundreds of options. For most shoppers, it comes down to aesthetic appeal, in which they likely have double digit numbers of styles they like, in a variety of colors to choose from. First, when you walk into a store, you're faced with hundreds of options. Since you have a lower nose bridge, you likely have to eliminate anything that doesn't have adjustable nose pads. 50% (or more) of your selection is gone, including all of the acetate designs. If, by chance, they have an Asian-Fit section, you might wander over there to look at the 10 or 20 styles they have. If you decide that this section is the way to go, you are now reduced to 5% of the overall selection. Of those, you quickly realize that there are only, say, 3 options that actually fit your budget, style, and overall needs. 3 frames in the entire store to choose from! And that's when you have to decide to either settle or waste more time going from store to store, in search of this non-existent perfect pair. 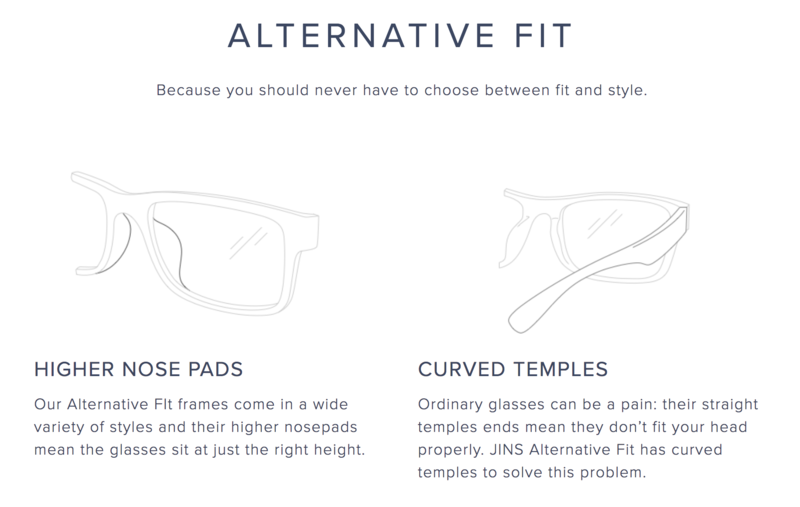 Topology Eyewear actually wasn’t created as another “Asian-fit” solution. It was created as a guarantee of a perfect fit for ANY person, with any face. But, as it turned out, Asian Americans have been some of our most enthusiastic customers, because they are so badly served by the stock eyewear industry. We know that faces cannot be generalized, so we only make each pair of glasses from one at a time, sculpted from scratch from raw materials, based on more than 2,000 measurements of your individual face. Oversized Lombard glasses in Crystal made for Nicole. This Bespoke, custom-fit approach is the only way to solve all fit problems you may encounter with standard, stock frames. Red marks on your nose? We build each nose bridge to fit the exact size and shape of your nose, eliminating red marks and providing all-day comfort with lighter-feeling frames. Glasses slipping down your face? We eliminate slipping by matching your nose contours to the millimeter, distributing weight and holding in place without pinching or sliding. We also size and angle your temples to meet the ear perfectly for a comfortable fit that stays put all day. Constant headaches? Our frames are custom-fit to your face, ensuring the lens angle, lens placement, and temple pressure is ideal for you and your prescription. Hate how thick your lens is? Our lens specialists review each order and select the index that keeps your lenses as lightweight and thin as possible, without degrading performance. We also never charge extra for high-index lenses. FACT: Glasses that fit better actually help you see better. Take a minute to wrap you head around this: with stock eyewear there’s a 99.9% chance you haven’t been seeing as clearly as you could and should be. That means, for however long you’ve been wearing glasses, you probably haven’t been getting the true 20/20 vision you’ve been promised. The next time you invest in eyewear, do yourself (and your eyes) a favor and purchase a pair of Topology’s custom-made glasses. Start your risk-free trial by downloading the Topology App!